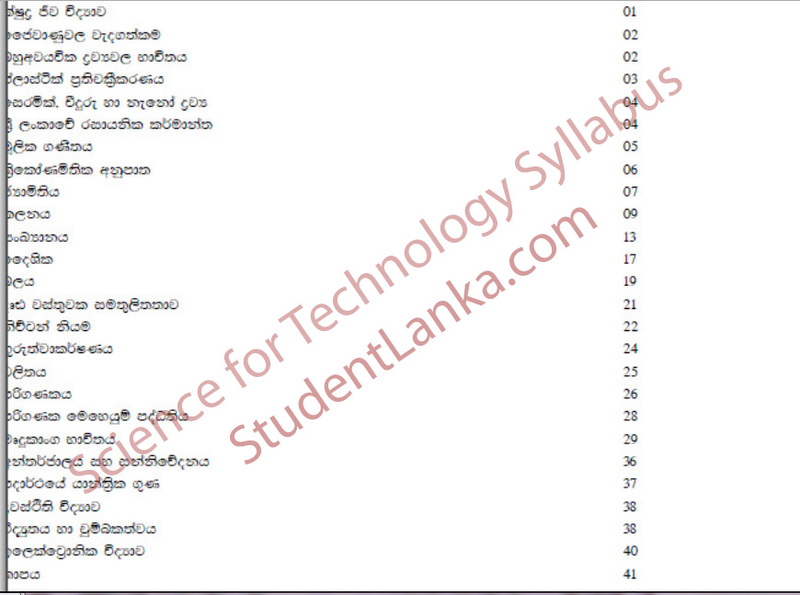 Sri Lankan GCE Advanced Level students can now select Technology stream. This is taught in some selected schools in Sri Lanka from 2013. First batch of students sat GCE A/L examination in 2015, and they entered Universities in 2017, This post explains subject combinations you should follow in this technology stream, list of schools that conduct this stream, download links of Syllabuses and Teacher guides, and future prospects of following theses subjects. You can follow degree programs in Technology Stream offered by Universities. According to Education Minister Bandula Gunawardena, students who followed the new stream could be offered a Bachelor of Technology (BTech.) degree from the respective universities. According to him students who could not score sufficient marks to enter the universities could apply for admission to the University of Vocational Technology (UNIVOTEC), the Ceylon–German Technical Training Institute, Ratmalana or Automobile Engineering Training Institute at Orugodawatte. “However, if any student fails the examination under the technology stream, he or she could follow the National Vocational Qualification Level 3 (NVQ 3) certificate course,” Gunawardena said, adding that they could yet continue their technical education. The new subject combination would be introduced in association with the Ministry of Youth Affairs and Skills Development, National Institute of Education, National Education Commission, Higher Education Ministry and the University Grants Commission, the minister said. I’m searching for an English medium school for A/Level(2021) Technology around wennappuwa, kuliyapitiya & negombo. please as soon as possible. I want A/L Bio system Soft Syllabus. I am studying now biology. But I would like to change my stream to tech. Its correct or wrong? You are going to move from science to technology stream. There is no right or wrong path. I really want why they don’t have the tech syllabus in English medium? Actually if I really can contact the minister of education that would be great. And there is no use of studying in sinhala &Tamil medium. Because there isn’t any Global outlook. Only barriered in Srilanka. If possible will you send a link to download or give me the name of a place where they sell books in English medium (tech). How to i choice my engineering technology subject. i will study HND civil engineering. how is possible this. please forward me. 2015 science for technology answers tika dannko. I am feeling very bad, because of no model papers and no past paper in Technology steam…..